Medilink and Gulf Helicopters are pleased to announce the establishment of Gulf Med Aviation Services, a private, joint venture transport and medevac helicopter service that will greatly increase both companies’ capabilities in the Mediterranean and southern Europe. Medilink International and Gulf Helicopters already have a long-standing partnership in providing synergistic operations to clients in the oil and gas extraction industries. Gulf Helicopters was founded in 1970 with the primary aim of serving the needs of Qatar’s offshore oil and gas sector. Today, it is a leading commercial aviation service provider with a global footprint and a reputation for safety, security and reliability, with approvals from EASA and FAA. The Company has also been growing its maintenance and training capabilities to evolve as a dependable MRO and Training service provider. Medilink has been supplying specialist medical teams for Gulf Helicopters’ medevac operations for several years. As a result, the two companies have fostered a strong mutually-beneficial relationship which serves as the impetus for their collaborative investment in Gulf Med Aviation Services. The new company, which is based in Malta, was issued an Aircraft Operator’s Certificate (AOC) and Part 145 maintenance approval in February this year. While Gulf Med Aviation Services will focus on the oil and gas industries, it is looking at growth markets in other sectors which similarly require a contracted, reliable helicopter transport partner. 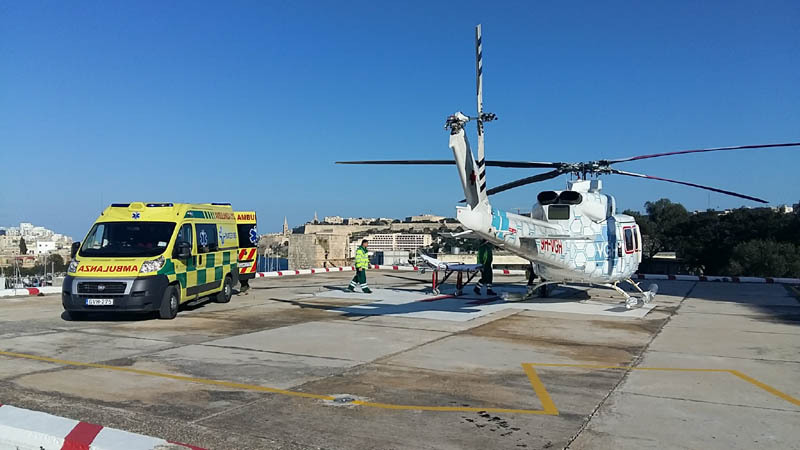 From its Malta base, Gulf Med Aviation Services aims to operate services within the EU and the wider Mediterranean region. The CEO of Gulf Helicopters, Mr Mohamed Al Mohannadi, expressed his gratitude to the Maltese Government for their support and vision in enabling the establishment of the rotary aviation industry in Malta. Mr Al Mohannadi also thanked Transport Malta, whose support was instrumental in achieving such a milestone. “Gulf Med Aviation Services is part of our growth plan and strategically aligned to our vision,” he commented, adding that in Medilink, Gulf Helicopters had an able and suitable partner to propel its expansion in target markets. The company sees the joint venture as a gateway to serving its international clients operating in European markets.